Hikvision DS-2CV2Q01EFD-IW mini IP PTZ CC camera has HD video resolution, 1/4" progressive CMOS sensor, night vision, built-in microphone and speaker, support 2-way audio, built-in Wi-Fi, 5v DC power supply, support 128GB memory storage, up to 5m IR distance. 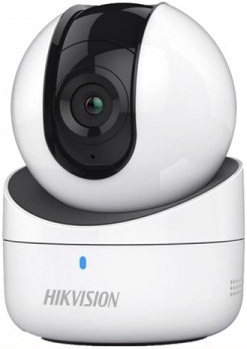 This product hikvision ds-2cv2q01efd-iw cc camera comes with 1 year warranty. Visit showroom or call to buy the hikvision ds-2cv2q01efd-iw cc camera from Dhaka, Bangladesh.